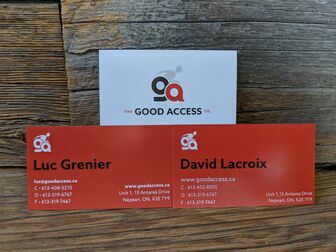 The Good Access Company may be new to Ottawa, but we‘ve been around for a while! We are Luc and David. 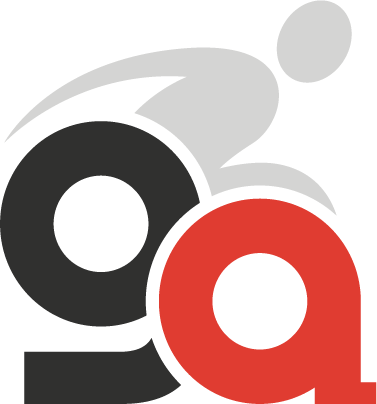 We are the founders of The Good Access Company and each of us has over 20 years of industry experience. We have seen and experienced many changes within the industry over the past 20 years and our knowledge and experience has enabled us to adapt to today’s modern mobility needs. Our story is not new or unique. Similar to many start-ups before us, our last few years have been spent working within a large corporate environment, until one day we realized together that the fit was not good for us or for our clients. So here we are. starting fresh, with a new brand and a better way to conduct business. We believe that by promoting and selling the finest equipment and by paying careful attention to details, you will be completely satisfied with our service. We believe that you have the right to be treated with respect and consideration. ’Please’ and ‘Thank you’ are valuable and important words to us. We value your business and the trust you place in us. We believe in doing what we say and finishing what we start. We believe in servicing what we sell and are readily available should you experience a problem with any of our products. We believe in our commitment to helping people. Our service has the capability to vastly improve a person’s quality of life and we can provide increased freedom and mobility. We believe in belonging to and enriching our community by being active within it. We are local, 100%. Bottom line, we believe in the right solution for you! We are passionate and dedicated to making a real difference in the lives of all of our clients. Come in and see us, or give us a call, to experience the difference.